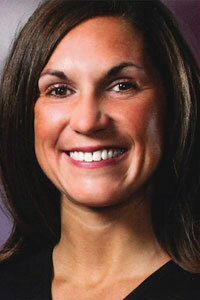 Lynsey is a Financial Advisor and Managing Director with WestPac Wealth Partners based out of the Las Vegas office. 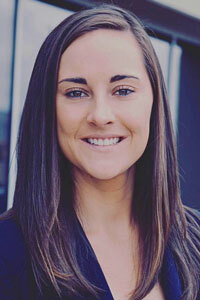 Lynsey was born and raised in Las Vegas, Nevada and graduated from Bishop Gorman High School. She pursued a basketball scholarship at the University of Texas at San Antonio in 2006 and later finished her Bachelor’s Degree in Business and Finance from the University of Nevada, Las Vegas. Lynsey started her professional career in the accounting and financial services field. She joined WestPac in 2016 where the unique planning philosophies, cliend focused culture, and innovative vision made it a natural fit. In addition to her career, Lynsey is a sports enthusiast. You can often find her on the golf course, coaching youth basketball, or kickboxing. Giving back to the Las Vegas community is also a significant part of Lynsey’s life. In addition to her volunteer work with Positively Kids, she also volunteers for the Boys’ and Girls’ Club of Southern Nevada and St. Jude’s Children’s Hospital. A native of Michigan, Keith Hughes became a Deputy Sheriff after graduating high school. A short three and a half years later, Keith left law enforcement to serve in the United States Marine Corps as an air traffic controller. During tours in Tennessee, North Carolina, California, Japan, and Australia, Keith distinguished himself in many leadership roles at all levels of airport operation, management, and international relations. During his service in Japan and Australia, Keith was instrumental in developing international agreements to govern joint US-Japan and US-Australia air traffic control policies. Keith received the Navy and Marine Corps Commendation Medal for sustained superior performance. He attained the rank of Gunnery Sergeant and after receiving an honorable discharge, worked in the commercial aviation field for several years. Feeling the need to again serve others, Keith changed careers to enter graduate school and study psychology. He provided in-home psychosocial rehabilitation and parent training to troubled youth and their families with Boys Town and later oversaw two dozen group homes in southern Nevada serving nearly 70 intellectually disabled adults. Keith was hired by newly-elected U. S. Congressman Joe Heck, D.O. (R-NV) in 2010 as a caseworker to assist constituents with Medicare, Medicaid, Social Security, and other issues. He has since held the positions of Senior Caseworker and Outreach and Field Manager before being promoted to District Director in January 2013. He joined the team at Opportunity Village in June 2017. 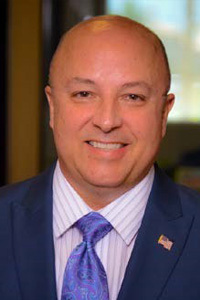 Keith holds a Bachelor of Science degree in aeronautics from Embry-Riddle Aeronautical University and a Master of Arts degree in counseling psychology from National University. Dr. Zyniewicz attended Aquinas College in Grand Rapids, Michigan where he received a Bachelor of Science in Biology/Business Administration. He received his medical degree from Michigan State University College of Osteopathic Medicine in East Lansing, Michigan. 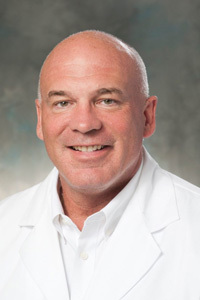 Dr. Zyniewicz completed my Emergency Medicine Residency at the University of Chicago in Chicago, Illinois; He is Board Certified in Emergency Medicine and is a Fellow of the American College of Emergency Physicians. He joined EMP after residency along with classmate JD McCourt from the University of Chicago. Subsequently; Dr. Zyniewicz became the Assistant Director at University Medical Center in Las Vegas, Nevada. He has been with EPMG/EMP twice in his career. Initially, after residency (Las Vegas) and then after raising their daughters in Michigan, returning to EPMG/EMP for chapter two. Dr. Zyniewicz maintain a clinical practice at UMC and enjoys developing unique business models to improve healthcare delivery. Ann Lynch is a retired advocate and lobbyist with over 50 years of direct governmental, public, and healthcare experience. Ann is from Evansville, Indiana and graduated from Baker University in Kansas with a Bachelor of Arts in Public Relations and Image Management. She moved to Las Vegas in 1959. Ann was active in the Parent Teacher Association both locally and nationally, and served as the National PTA President where she advocated for legislation mandating immunizations for elementary school children, as well as the helmet law requiring motorcyclists to wear head protection. Ann has also served on the board of the Public Education Foundation, Clark County Family Child Care Association, and has been a member of the Ronald McDonald House Steering Committee, National Drug and Alcohol Abuse Prevention Commission, and the Nevada Commission on Postsecondary Education. She also had an elementary school named after her in 1990. Ann worked at Sunrise Hospital and Medical Center as the Vice President of Government Affairs and lobbied for improvement in healthcare. She also was a founder of the Sunrise Children’s Hospital Foundation in 1993. 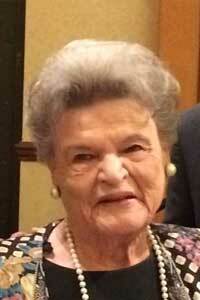 After retiring from Sunrise Hospital and Medical Center, Ann became a lobby consultant and formed her own business. She lobbied for several organizations including March of Dimes Foundation, Southern Nevada Medical Industry Coalition, and Keep Our Doctors in Nevada. Children are the passion for Cynthia. She is currently a school counselor at Molasky Junion High School where she facilitates individual and group counseling workshops and assists students with their career planning. Cynthia was a Court Appointed Special Advocate (CASA) member who represented foster children in court. She served as a board member at CASA, and was a founding board member for the Children’s Advocacy Alliance where she helped raise funds to build the Children’s Advocacy Center for sexually abused children located on the campus of Child Haven. She is also active with Manuel J. Cortez Elementary School by providing backpacks for students, Walmart gift cards for the neediest students, and funding through the Nevada Education Foundation in the name of Manuel J. Cortez for students who attended Cortez Elementary School. Cynthia received her bachelor of science in political science and a minor in criminal Justice from the University Nevada Reno and her Master’s in Education from the University of Phoenix. Dr. Jones is an obstetrics & gynecology specialist at the High Risk Pregnancy Center in Las Vegas, NV, and has been practicing for over 8 years. She graduated from the University of Kansas Medical Center, completed her OBGYN residency at Banner Good Samarian Medical Center in Phoenix, AZ. She completed her fellowship at Ohio State University. She is a member of the Society for Maternal-Fetal Medicine (SMFM), a Fellow American College of Obstetrics & Gynecology (ACOG), American Osteopathic Association (AOA), and Fellow of the American Congress of Obstetricians and Gynecologists (FACOG). Over the years Dr. Jones has received many awards including SMFM Perinatal Award: Excellence in Patient Care, Annual Perinatal Award: Outstanding Obstetric Care, and the Edward Sattenspiel, MD Chief Resident Award for Educational Excellence. Dr. Jones has volunteered at the Veterans Administration in Kansas City, softball coach in Phoenix, AZ, and domestic violence shelters. Zach was not only born and raised in Las Vegas, but he has the privilege of calling himself a 4th generation local and has seen this spectacular city go through major developments, including the construction of many of the popular casinos, the growth of the roadways, freeways and other infrastructure. 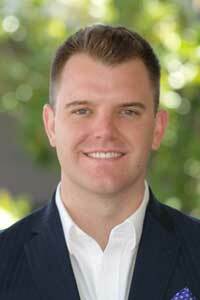 After attending Santa Clara University in Santa Clara, CA where he majored in Political Science, Zach returned home to Las Vegas with a desire to help advance the city he loves. He began pursuing a career in real estate at Coldwell Banker Premier Realty. Since joining Coldwell Banker in 2011, Zach has received recognition as one of the National Association of Relator’s 30 Under 30 Agents, one of Coldwell Banker International’s Top 30 Under 30 agents, and the Greater Las Vegas Association of Realtors (GLVAR) 40 Under 40. In addition, Zach is an active member of GLVAR’s leadership team and a USAA and Navy Federal preferred realtor. In his spare time, Zach enjoys spending time with his family, hiking with his two dogs and volunteering by coaching youth basketball.